The Kubert School faculty are some of the most interesting artists working today, each specializing in a specific field. Our faculty are committed educators and working professionals who personally invest in nurturing their students and help define them into the artist they aspire to be. 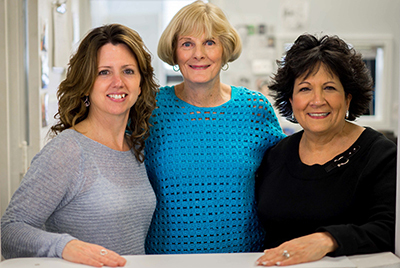 Get to know our Practicing Professionals and staff of The Kubert School. Currently, The Kubert School boasts a staff of instructors who are practicing professionals in their chosen field. Their talents range from Fantasy Illustrations to Computer Graphics. Faculty members are professionally oriented, practicing artists/designers with broad teaching experience in the diverse areas of the art world.The staff is available to assist in all aspects of the student's education and training. Bob, a graduate of The Kubert School, is an illustrator with comic book training commercially freelancing since 1981. Starting out with a ten year run as artist/writer for Petersen Publishing’s CARtoons Magazine, ad agency assignments, and miscellaneous comic book work, he later created 45 fine art paintings for the award winning print series Slot Car Thrillustrations and Mighty Fine Art. He continues to freelance and currently teaches at The Kubert School.